This Fall David and I decided to participate in the One Room Challenge! 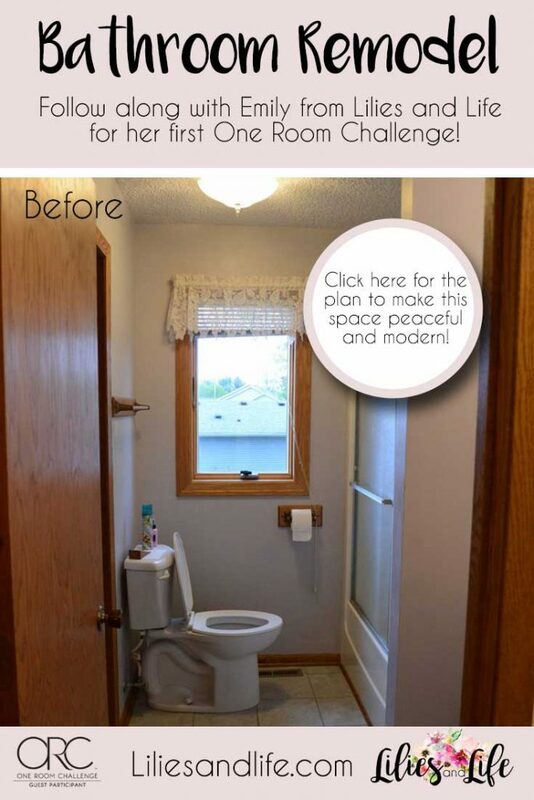 You are probably wondering, what is the One Room Challenge? 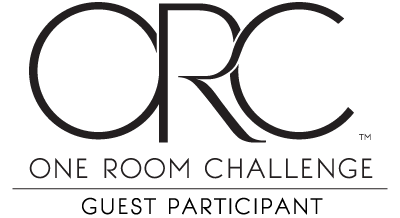 Well The One Room Challenge™, currently in its fourteenth season, is a widely anticipated biannual event every April and October. Each round, twenty design influencers are selected to take the challenge and transform a space. Every Wednesday, the designers document their process while sharing their sources and professional advice over the six weekly posts. In addition to following along, everyone with a blog is welcome to join the fun as a Guest Participant. Each Thursday, the internet and social media are flooded with interior design inspiration, ideas, and encouragement. This year Lilies and Life is participating as a Guest Participant! Yay! So now you are probably wondering which room we choosing for this challenge? 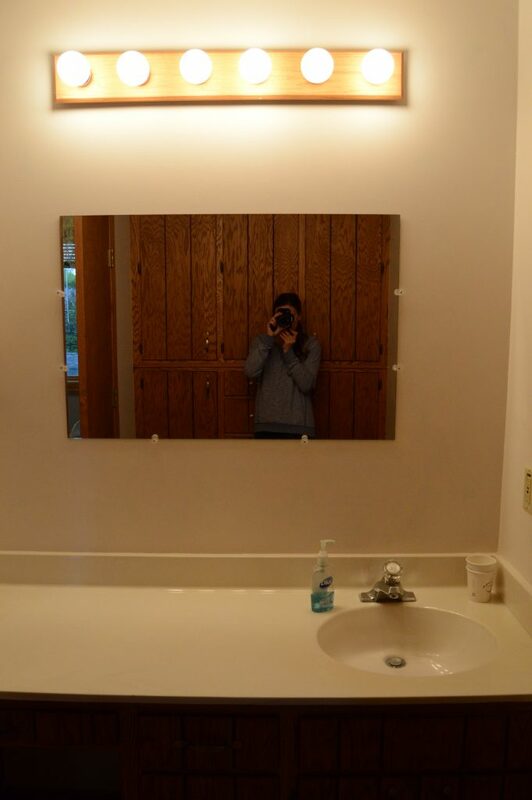 We chose to remodel our upstairs bathroom! I am so excited about this challenge and can’t wait to show you the progress we make! 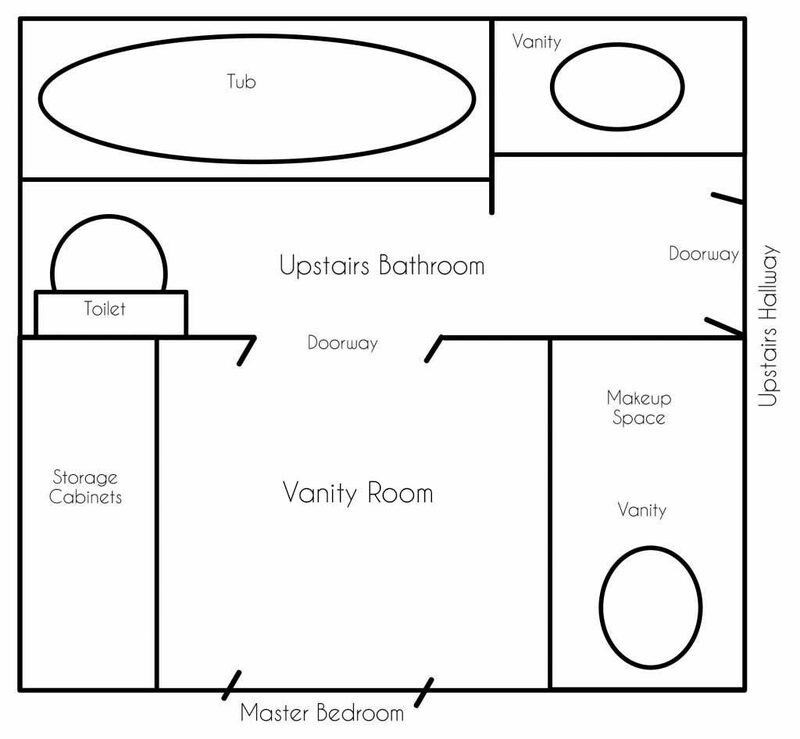 So this first post is all about our plan to make this space peaceful and gorgeous! I know I wanted this space to feel modern airy and peaceful. 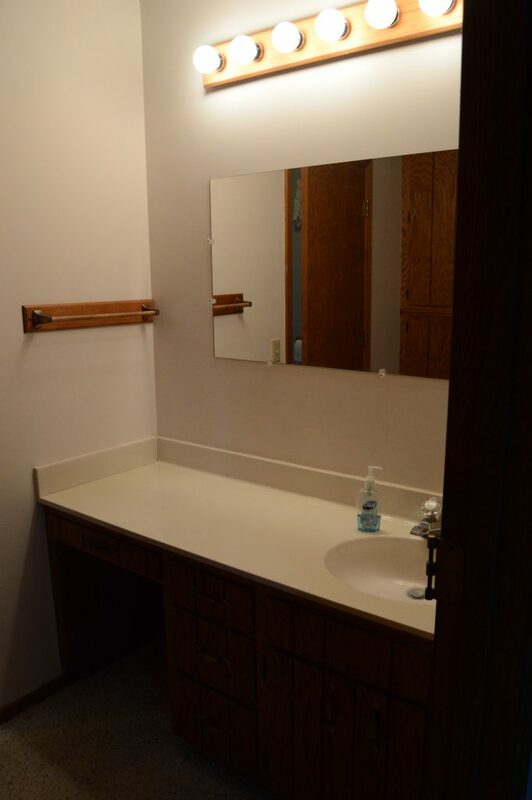 This space is smaller and does not have a lot of natural light so I knew I wanted to keep things lighter in color and then have the vanities be darker for contrast. Onto the details of our design plan! The first thing we did when we moved into our house was scraped every single square inch of the popcorn ceiling off! It was SO much work, but it was worth it! Check out my post on how we scraped 2,500 square feet of that nasty stuff! So this task was done about two years ago. We chose Zircon from Sherwin Williams for all the walls in this space. 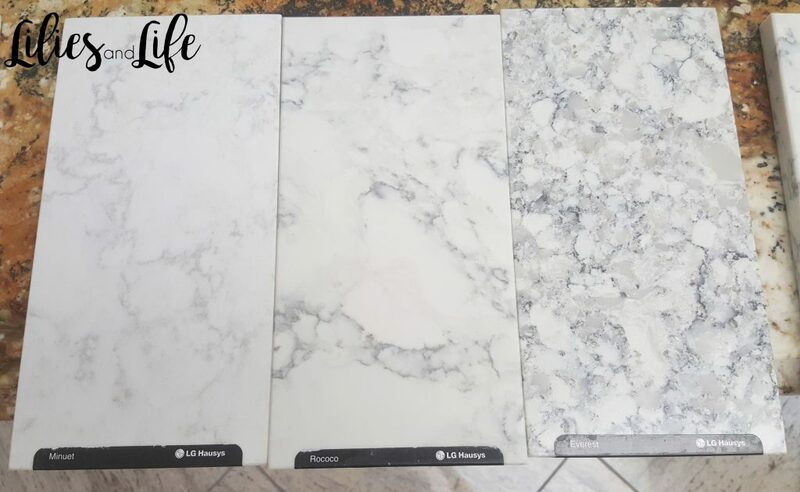 This is the same gray color we chose for our powder room remodel and we loved it so much we want to use it for this project as well. 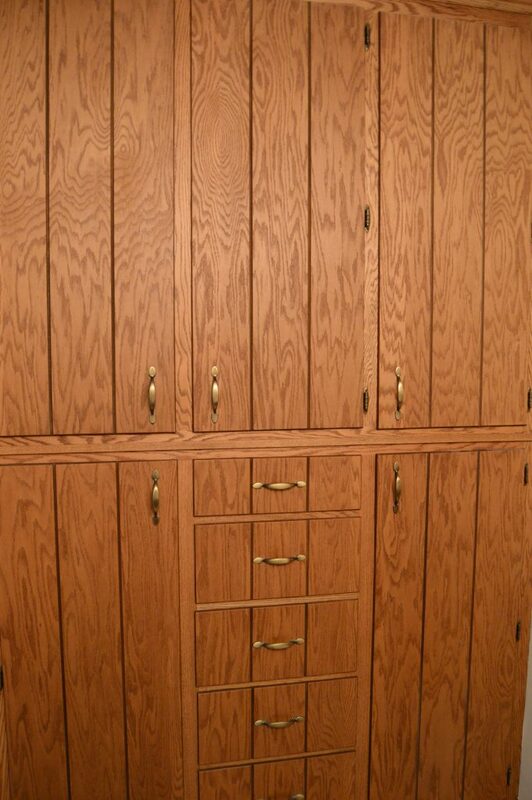 We are getting new doors for the storage cabinets in the vanity room as well. 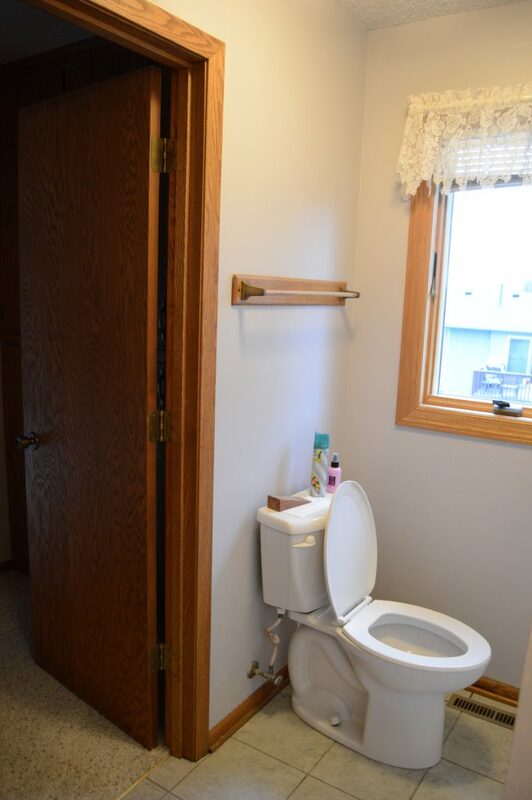 Those doors will be white. To save money, we plan to use remnants from a local countertop shop. I am hoping for a white quartz of some sort. We are going to use white 3×6 tiles in a brick pattern with a gray grout for the shower. I think this will keep the smaller space bright and crisp! Flooring has been the most difficult for me. 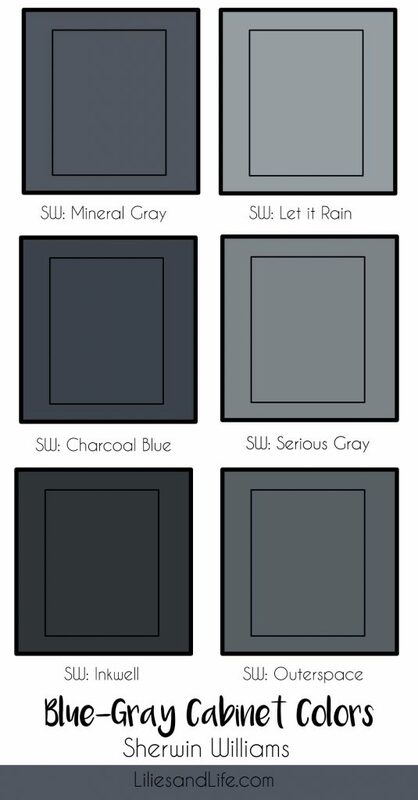 I want a lighter gray simple tile to offset the darker vanities. I’ll keep you posted on this. 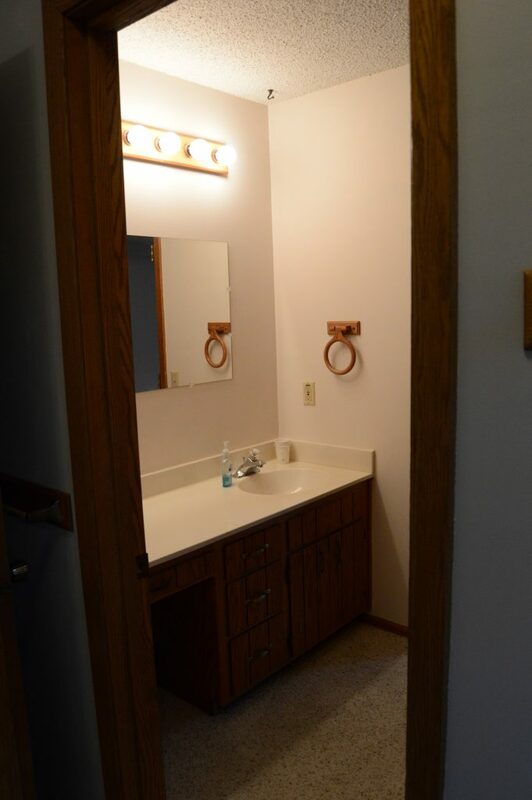 We need to update both the vanity lights and the ceiling light above the toilet. The ceiling light needs to be an exhaust fan as well because we have no ventilation in the bathroom right now. We are separating this project into two parts. 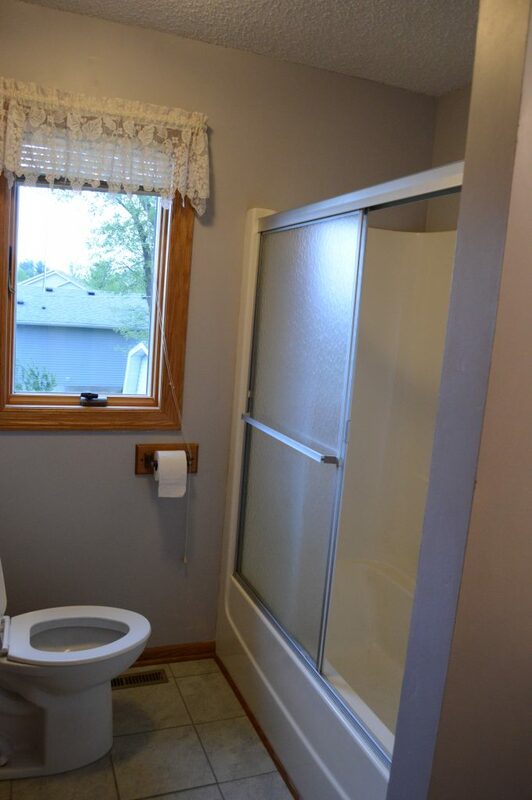 Part 1 is the shower and bathtub and Part 2 is everything else. 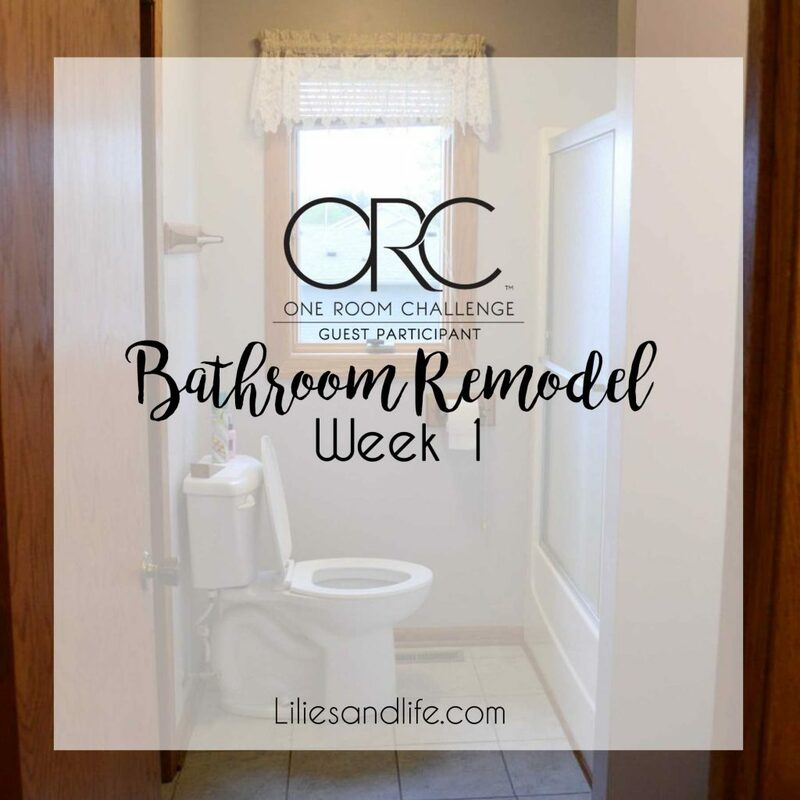 I hope you have fun following along with our One Room Challenge project! Watch for a shower update next week. Make sure you follow along on my Instagram stories for real-time updates! Also, you can check out all of the other ORC participants and their room makeovers here! 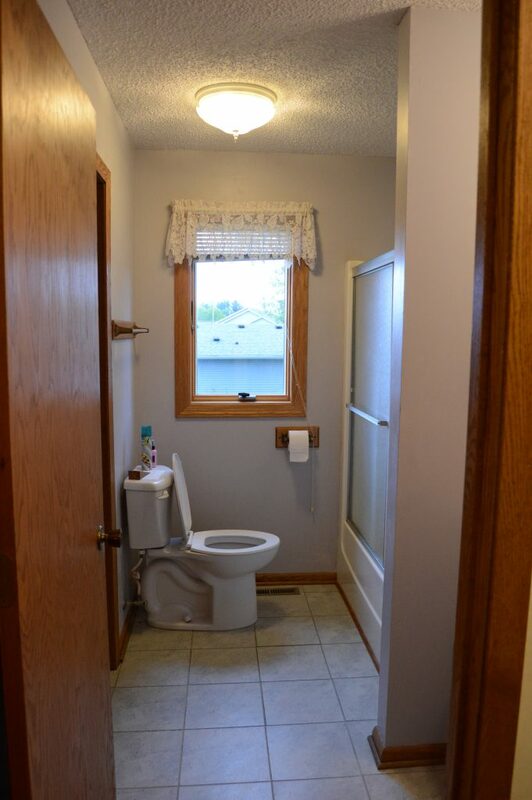 I love me a good bathroom remodel and I can’t wait to see yours ! Thank you so much Adam!! For our bathroom, the first job was stripping the textured wallpaper and sorting the boxing in (the original was removed for a plumbing repair and just wasn’t going to go back). 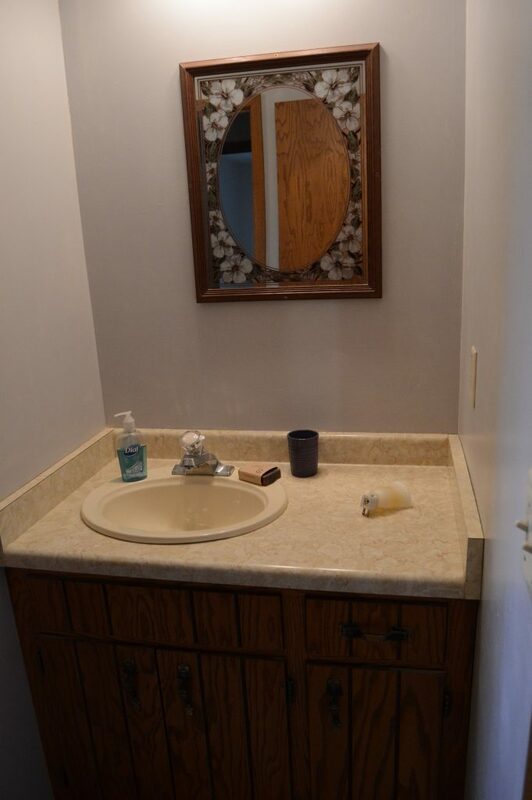 As the sink and toilet worked fine they stayed. Replacing the boxing in cost $40.